There may have finally been a breakthrough. Coke, Pepsi, and Dr. Pepper have all announced that they plan to work to reduce the number of calories Americans get from beverages by 20 percent in the next decade. The announcement was made at the Clinton Global Initiative in New York City. Soda makers are facing increasing amounts of pressure to do something as sugary drinks continue to contribute to rising obesity rates. Though obesity rates are still going up, there’s no denying that the idea of being healthier is appealing to more and more people. The last several years have seen customers moving away from consuming soda. One of the most divisive events of the year is also one that brings the most of us together. Whether you’re a Denver fan, a Seattle fan, or neither, odds are that come Sunday you’ll be gathered around the TV to watch the Super Bowl. Super Bowl watchers come in two kinds: the ones who watch for the game, and my people, those who watch for the commercials. 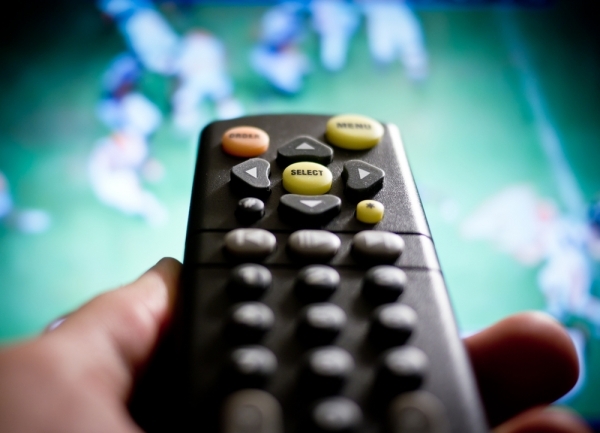 It’s a storied tradition that some of the best ads of the year air during the Big Game. It’s such an important part of the experience that companies are shelling out $4 million for a 30-second spot. With slots that expensive, you’d expect the commercials to be pretty brilliant, right? We think so, but we’ll let you be the final judge of some of our favorite food, and drink, commercials that you can look forward to on Sunday. Beware, there are spoilers ahead! In an attempt to spark interest, several companies are releasing “teasers” for their Super Bowl ads. M&Ms parent company Mars is one giving us a glimpse of their ad, and it looks like Yellow is in a bit of trouble. Who knows what we may learn on Sunday. The Lorax isn’t directly connected with the dietetic field, but if he speaks for the trees then they are speaking for the health of humanity. The Lorax’s sage words, “Unless someone like you cares a whole awful lot, Nothing is going to get better. It’s not,” could be the motto of a recently formed group called Dietitians for Professional Integrity. For now their presence is largely on Facebook and they’re working together, with both dietitians and concerned citizens, to make sure the field’s largest trade organization, the Academy of Nutrition and Dietetics (AND), hears not just their complaints but their calls to action. See, the AND accepts sponsorship dollars to keep their organization rolling. But Andy Bellatti, creator of Dietitians for Professional Integrity, and his colleagues are calling bull – these sponsorships are paid for by the very brands these professionals are working hard against. “Our main initiative is to have the Academy cut ties with its current sponsors,” noted Bellatti. When you take a look at their on-going corporate sponsors, that’s where you can see how these dietitians are saying the AND “soils the good name of registered dietitians,” according to our Mary Hartley, RD. Coca-Cola, Pepsi, Hershey, Abbott Nutrition (which produces Similac), General Mills, and Kellogg’s are some of the organization’s major sponsors. It’s cause for red flags amongst the organization’s members and the citizens who support this movement. “The big picture issue is how Coca-Cola teaches webinars to RDs, how McDonald’s serves lunch at the California Dietetic Association conference, and how PepsiCo and Coca-Cola are financial contributors to the Academy’s Evidence Analysis Library,” declared Bellatti. 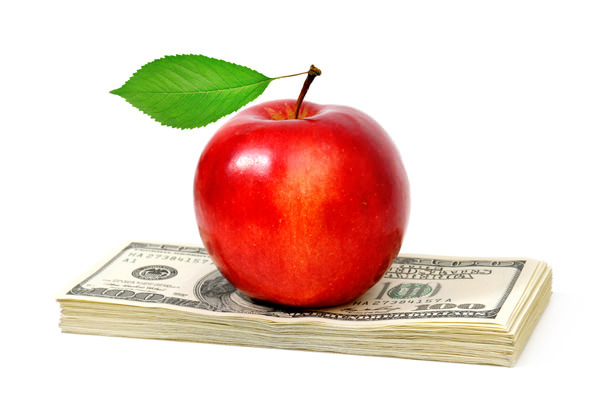 To that, Monsanto sponsored the New York State Dietetic Association’s annual meeting. Just when you thought you’d seen it all, Pepsi tries to sell us on Mountain Dew for breakfast. PepsiCo announced Monday it will be releasing a new “breakfast” drink. 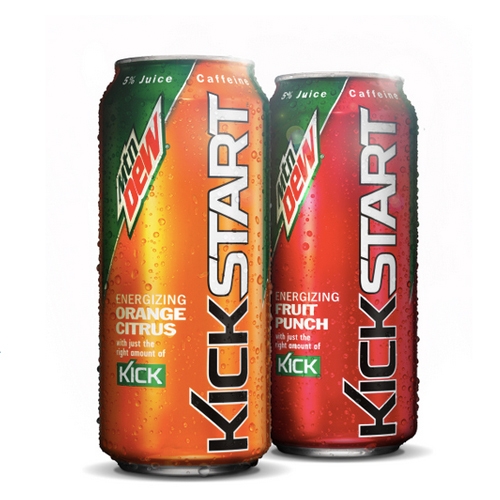 Mountain Dew Kickstart is a Mountain Dew-flavored fruit juice drink that will be available in two flavors: Energizing Orange Citrus and Fruit Punch, according to USA Today. 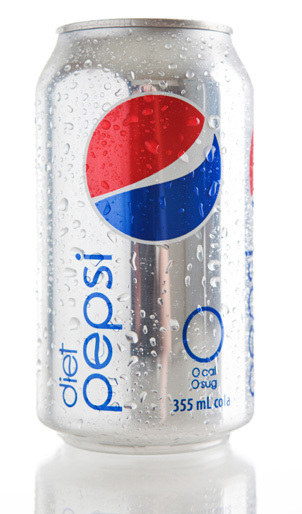 There’s a new Diet Pepsi in several cities around the U.S., which now lists a new ingredient on the cans and bottles. It’s called acesulfame potassium, also known as Acesulfame K or Ace K.
This quiet change is apparently not going to change the taste of the soda, but is meant to add shelf life by allowing the “fresh” taste and flavor to last longer. The project’s goal is to give the old/current base sweetener (aspartame) a jump kick because of its sensitivity to heat and susceptibility to breaking down. Ace K has proven to be less sensitive to heat. So what exactly is Ace K? Acesulfame potassium is another form of an artificial sweetener that is calorie free and about 200 times as sweet as everyday table sugar. 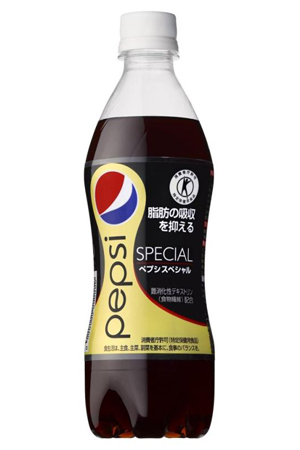 Due to its slightly bitter aftertaste, it is often mixed with other artificial sweeteners (in this case it was mixed with Diet Pepsi’s aspartame). It’s often found in many baked goods, processed foods and other soft drinks similar to Diet Pepsi. UPDATE 1/29/13: After more than 200,000 signatures on a Change.org petition, PepsiCo has announced it will remove the flame retardant it currently uses in Gatorade. However, the company doesn’t not plan to issue a recall on products in market that still contain the BVO, or Brominated Vegetable Oil. 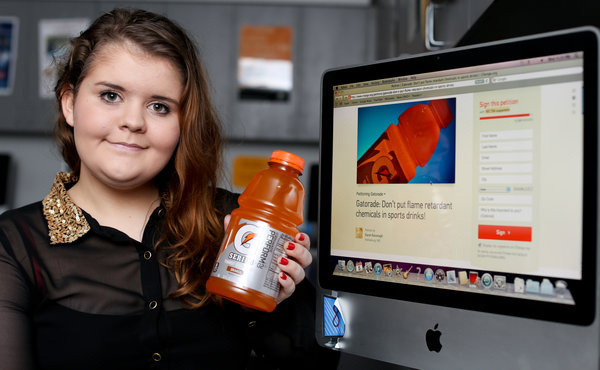 About a month ago, a 15-year-old teenager named Sarah Kavanagh was looking forward to the Gatorade she had stored in her fridge for after her long afternoon of playing outdoors in the humid heat in Hattiesburg, Miss. With Sarah being the dedicated vegetarian that she is, out of habit she checked the ingredient list on the drink before popping open the top. While making sure none of the ingredients were made from any type of animal, she noticed it contained brominated vegetable oil. Though it had the word vegetable in it, Sarah still felt like investigating further. Pepsi-Cola isn’t exactly in a healthy industry. Over the past years, big soda companies like Pepsi and Coke have been scrutinized for contributing to the obesity epidemic. In light of this, Pepsi just announced a new fiber-infused flavor, “Pepsi Special,” that claims to reduce fat levels in the body. The product is only sold in Japan. Benefits of dextrin include stabilizing blood glucose, regulating insulin, reducing risk of heart disease, and reducing cholesterol and fat cell levels in the body. 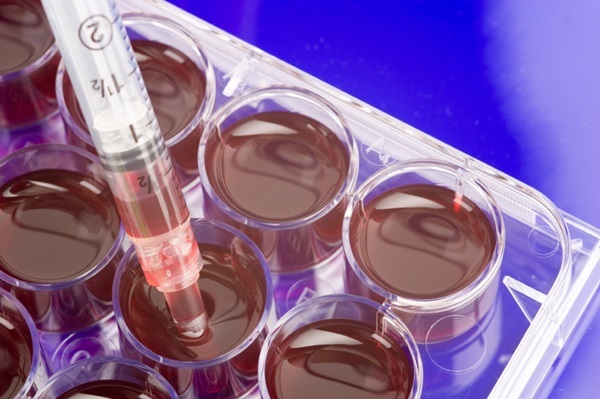 Dextrin can be found in glue products as well, but it’s not safe to consume in that form. There are a number of foods and medications that contain dextrin and have for about half a century, notes Hartley. “Most people eat some dextrins every day without noticing a change in weight,” she said. 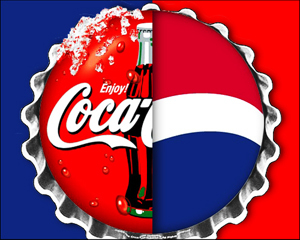 Will drinking the new Pepsi product make you skinnier? Probably not. As if the soda industry hasn’t gained enough negative attention from the New York City soda ban, another wave of criticism has caused a serious change that will roll out as early as next year. What will likely become a new national standard will begin taking place in 2019: Vending machines in Chicago and San Antonio municipal buildings will begin showing calorie counts on the front of all machines. As reported by Associated Press, Coke, Pepsi and Dr Pepper are introducing new vending machines that will show the calorie count of each beverage before you select it. Mock-ups of the new machines by Coca-Cola show 20-ounce bottles of Coke and Sprite in vending machines with labels on the glass that state “240 calories.” We can only assume that this is another initiative – much like the soda ban – to try and make people more conscious of their diet choices. This move comes as part of the Supreme Court decision this summer to uphold President Obama’s health care law, requiring vending machines and restaurant chains larger than 20 locations to clearly post their calorie information on the menu. McDonald’s complied last month when it began posting nutrition information on its menus nationwide. Mike Jacobson, the executive director for the Center for Science in the Public Interest, told AP that the U.S. Food and Drug Administration has proposed an amendment that would require nutrition information to be posted on the side of vending machines via a poster. His organization advocates for food safety and nutrition and is pleased about these upcoming changes, believing they will help people make more conscious decisions regarding their health. 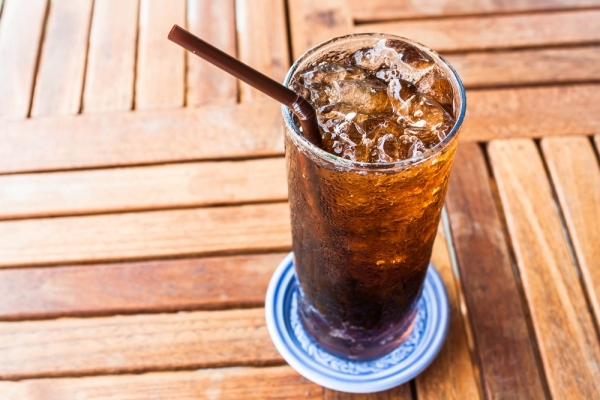 Carbonated sodas are finding themselves unwelcome in more and more places than ever before. Most recently, the Faulkton, South Dakota school district has banned soda to be sold inside or brought in the school. This is one of the first complete instituted bans on soda in the country. As this trend continues, soda companies are attempting to make up for the loss of sales. 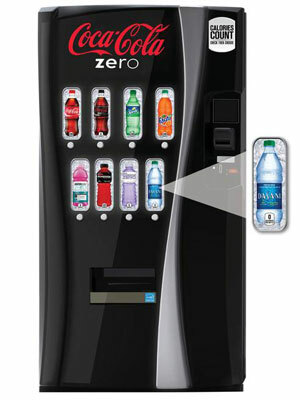 Many schools have been removing soda and sugary drinks from vending machines in the last few years. It is assumed more total bans will take place as soda is being named public enemy number one by many health organizations. The link between the obesity crisis and sugary drinks seems fair as Americans drink nearly two sodas a day on average. Those two sodas add up to nearly 25 pounds of sugar a year. That sugar equals a plethora of issues for the human body, including weight gain. Margo Wootan, director of nutrition policy at the Center for Science in the Public Interest describes how prolific the consumption of soda is in America. Pepsi just officially released its newest beverage: Pepsi Next. Pepsi says the new beverage has 60 percent less sugar and 60 percent fewer calories than regular Pepsi. But, in order to keep the sweetness but reduce the amount of sugar and calories, Pepsi Next features all of the sugar substitutes it has into one beverage. It combined high fructose corn syrup, aspartame, Sucralose and acesulfame potassium. This is quite the sweetener combo and if you are like most, seeing this list may make you wonder what you’re going to be chugging. Even though Pepsi Next does contain a lot of artificial sweeteners, the fact that it is only half the calories of regular Pepsi could be a plus for those who want to reduce their sugar intake and cut calories to lose weight or maintain their weight. Aspartame, also found in Diet Pepsi, is one of the more controversial artificial sweeteners out there. The FDA has claimed its research has not shown any adverse health complications from aspartame. But according to MedicineNet.com, there is some evidence suggesting headaches, depression, increased hunger, and even cancer can be related to consuming aspartame.